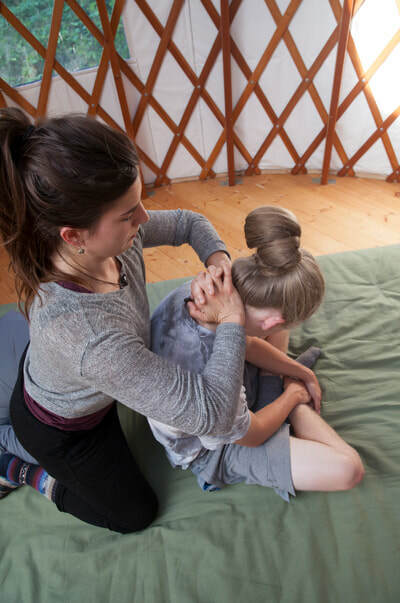 Terah is a Spectrum Center School of Massage graduate with a certification in Thai Massage from Soaring Crane Massage. Her long-standing passion for dance and other movement arts has fostered an understanding of body kinetics and the connection between mind, body and soul. With Thai Massage as her favored modality, she often adapts the rhythmic compression and passive stretching techniques into her table sessions. By recognizing each body as unique, she can offer a massage experience tailored to the client’s wants and needs. Terah lives on Vashon Island with her partner and the rest of the weirdos and is the owner of Wandering Goat Massage.